Manufactured by Goose Foot and designed in collaboration with Planit-IE, these iconic seats measure 4 m x 1m and are constructed using marine grade 316 stainless steel and ethically sourced supplies of iroko. 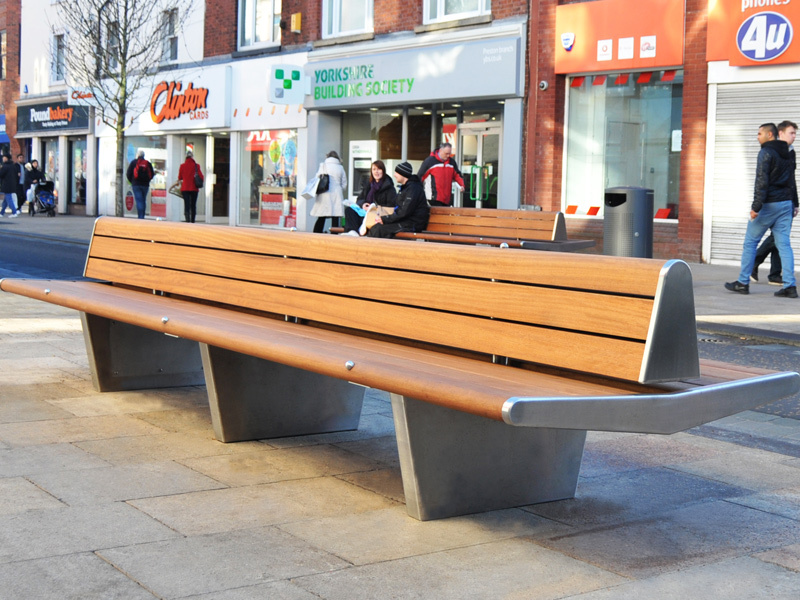 Easily recognisable across a variety of urban realm projects, the Emperor Seat is designed for comfort, style and eye catching recognition. This timber slatted seat is also available with optional arm rests.